…and play at the amazing rate of just £10 per round during the off season. Please use the sites above to save on booking rates – TeeOff Times UK and Golf Now. An ideal golf course for not just serious golfers but also holidaymakers, casual golfers, juniors and those who are just learning the game. Visitors and visiting parties are especially welcome to visit the club and to enjoy the easy going environment of the clubhouse and the relaxed attitude we take to enjoying our wonderful golf course and scenery. Outside of the regular competitions played at the weekends, especially those starting on a Saturday morning, it should nearly always be possible to play the course, although we would always recommend that you contact us prior to arriving for a game. If you wish, you can use our online booking form to request a particular date and time in advance, which then helps to ensure that you get to play at a time that best suits you. You can find all the information about our visitor rates below. 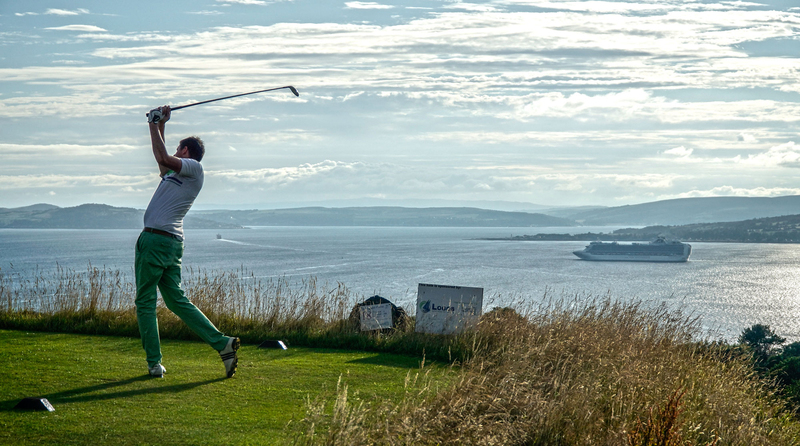 Skelmorlie GC has a range of rates covering single rounds, day tickets and weekly golf passes and we always try to provide the best value we possibly can. After your round we encourage you to accept a warm welcome into our clubhouse to enjoy a hot or cold refreshment, and to soak up the views of the splendid scenery visible from the clubhouse and weather permitting to spend some time relaxing on our outdoor decking balcony. Members may introduce personal visiting parties of 4 or more visitors at a cost of £8 per visitor for 1 round and £12 for 2 rounds. This will not affect their personal allowance of 16 guests per year. £7 each – maximum 16 guests per year – any guest is restricted to 6 visits per year. If you are considering or wish to bring a party of golfers on a visit to Skelmorlie Golf Club, then please use our booking form link shown below or contact our club secretary at secretary@skelmorliegolf.co.uk to discuss your specific requirements as regards golfing arrangements and catering. We would be delighted to hear from you and will certainly do our best to accommodate any special arrangements you may require. As regards costs, our secretary will be happy to discuss and then arrange a good value package. As a small golf club we rely heavily on visiting green fee’s and while we try to offer some excellent rates for golfers coming to play Skelmorlie GC as a visitor, there will be times when the clubhouse will be closed and nobody available to collect green fee’s. If it is likely that you will be playing at a time outside the normal summer opening times we would appreciate you making contact with the club either before or after your round to settle the fee’s due. Alternatively you can post the fees due amount into our mailbox at the front of the club. Please be aware that you may well be approached on the course and asked to show your visitor ticket or to pay the fee due. We try to offer great value golf on a well maintained and attractive course and being able to collect visitor fee’s helps us to maintain the standard of the course and to continue our rates at the best possible value, we thank you in helping us achieve this. Skelmorlie Golf Club has a number of hire sets available – please contact us to check availability. 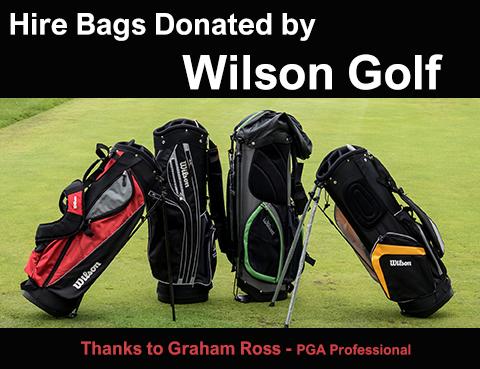 You can also buy some great value refurbished golf balls and tees at the clubhouse, along with snacks and drinks. For further information about the club and the course please have a look at the course section of the website for details on the various holes. We hope the information provided here has proved useful and we look forward to welcoming you should you decide to visit us.